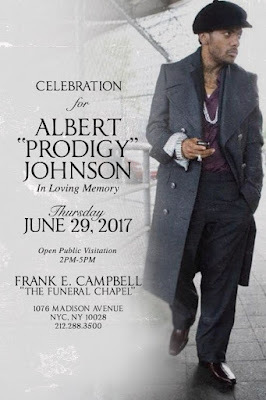 If you happen to be in New York City Thursday and want to pay your respects to the late Prodigy of Mobb Deep, a public memorial will take place on Madison Ave. Details are on the flyer above. The Stone Roses may have played their final show over the weekend, nearly a year after headlining Madison Square Garden for the first time. Following their gig in Hampden Park in Glasgow, Scotland, singer Ian Brown told the crowd: “Don’t be sad it’s over, be happy that it happened.” The Roses, who reunited in 2012 after decades of not playing together, released two singles in 2016, and there were rumors of a new record that was allegedly arriving this year. However, judging that their is nothing slated on their calendar following this weekend, the reports indicate that they are done again. Every six years, Glastonbury takes one year off so Worthy Farm, the active dairy farm the festival is held can recover and function. However, festival curator and organizer Michael Evans said that if "a certain band" reunites, he would look to push the one year sabbatical. While he never specified who that headliner could be, rumors are that the names being tossed around are Oasis, Led Zeppelin, and Pink Floyd.